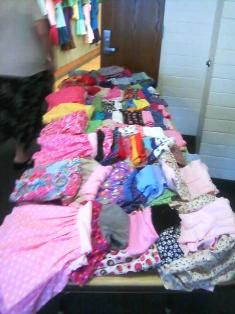 Marnie and I stepped into the foyer at the Stake Center and saw four tables filled with dresses. I thought at that moment I was so grateful I had made an extra effort to make seven dresses. Without anyone looking and busy in the Cultural Hall, I added my dressed to the side table. Tada! 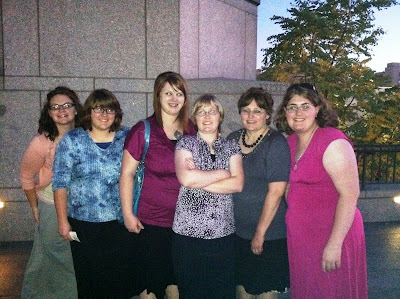 I entered a beautiful decorated and food-filled room that the Relief Society had prepared for us. I was floored at the number of dresses covering the whole, huge cultural hall. 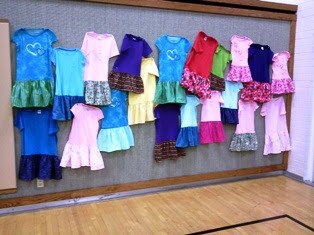 The little dresses were pinned as decorations for our meeting and as a reminder of our mission of service. There were boxes everywhere and I had heard there weren't enough boxes to contain the amount of humanitarian kits that had been made through-out the stake. We stood, took pictures, and greeted old friends and hugged the new ones we were meeting for the first time. 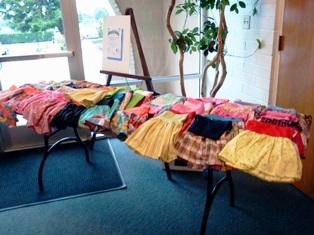 The first count on the kits were 780 hygiene kits, 200 infant kits, and 562 dresses. 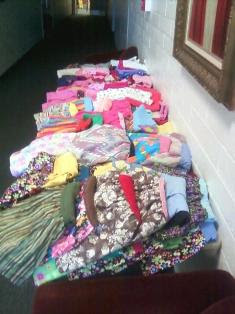 We were surprised at the number of dresses still to come in toward the end of the next week. I'm still amazed. My youngest daughter, Kiely, had arrived a minute before the meeting had started. I knew where she was sitting. The time difference was an hour earlier, but I strained to see her as we sang and the camera swung quickly across the audience in attendance. I thought then, I wouldn't recognize her and the camera was moving so fast and even if it had been slower it would have been hard to spot her, the mother (me) looks for a blond ... and not brunette with glasses. She was there! I couldn't help and be in awe of our Sunday Sabbath meeting and the talks presented to us all revolved around the same subjects spoken last night. The talks were about covenants and the Priesthood It was a widening of what we had heard just the night before. It seems without any knowledge what another is talking about or what the lessons might be, often our Sunday services have a theme. Today is was about our covenants and service to others and the blessing of the Priesthood. I soaked it in. Last night, at our General Relief Society Meeting, we definitely were uplifted by every single talk that was given to us. I was writing frantically trying to keep some memory of what I was hearing and not even thinking that we would have all this probably again in a week. Of course it's recorded and definitely written down in the Church News. I was a bit wrong on the timing. I saw even before midnight, last night in the Deseret News there was a link on Twitter and there were summaries of what I needed to recall what was said in the meeting. I wanted to share with my Steve the great meeting we were able to attend. I should have sat in the pew and absorbed it in and left the note-taking and saved my pages for what would not be recorded. I took five pages of notes and my daughter, Marnie, who was sitting next to me took four pages. I had, right in the middle of Sister Beck's talk torn-out of my journal two pieces of paper. Marnie wrote really small, front to back, and I could tell by the time of President Uchtdorf's talk, she was just plain out-of-room. The talks are online and will be published soon. The printed word seemed to land deeper in me than trying to read the computer. Sister Beck's talk was about granddaughters and what she hopes that they will gain from their knowledge of Relief Society and understand why we have this great organization. I feel the same way and I know that reading our new manual will help us learn even more details of it's beginnings and restoration. That was new to me, restoration of Relief Society. It was an organization of ministry and discipleship organized by the Savior. And it was patterned again after The Priesthood. A restoration. 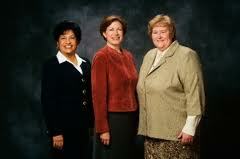 The early and mid-1800's had lots of organizations for women, but none under the direction of the Priesthood and patterned like the Priesthood. Women weren't voted into their positions, but appointed by those having keys to send direction from our Heavenly Father. 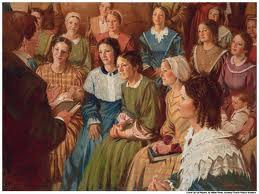 Relief Society was organized for a specific work and a place of learning, so that all women will be ready to receive of the temple blessings that we are blessed to obtain. The challenges that lie ahead for all of us are different in each area of the world, but we have a common desire to provide relief to those challenges and hardships. I can make a promise to myself here, that even though there are life changes and a new direction given, there is always choice of another path we could take. I will be certain to hold to the rod and not let those paths take me off the course that I have set for my life. We study the early saints to gain a respect and learn from the women that endured to the end in all hardships and trials. We'll also have hard times in this life. 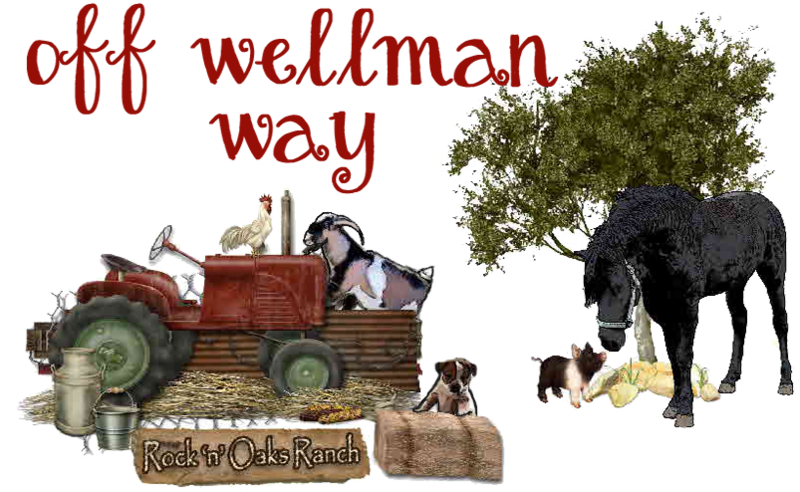 We have so many great examples to follow and some that are own family members, our ancestors. The burdens that we carry are made lighter by lifting each other and this provides a way to learn to protect our homes and family. The strength that comes with caring for others, makes us stronger and more faithful in keeping all the Lord's commandments. It provides standards to live by, examples to follow, and by improves our own discipleship of Jesus Christ. Sister Allred also had additional admonitions about providing service to all that are in need. She said that by our own service to others we can come to an understanding that helps our own difficulties seem less of a burden. She wants us to remember to "abound in charity." 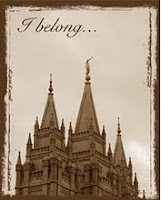 Again, Sister Thompson spoke of the joy and happiness that comes by keeping our covenants. She promised us that joy, happiness, and protection is ours if we hold to those covenants that we've made. The blessings from these also help us when we have trials of our own. 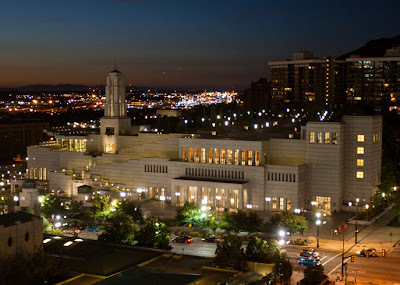 Remember and keep close the covenants and blessings of the Temple. I could only reflect on how blessed our family has been this past month with the help of our members rebuilding our porches that have been such a danger. I think that my accident in the barn was not as bad, first, because I recieved a blessing of the Priesthood, just after it happened ... and also the pain was lessened, as I fretted about the "Little dresses" getting done in time. It wasn't a burden, it was a determination. 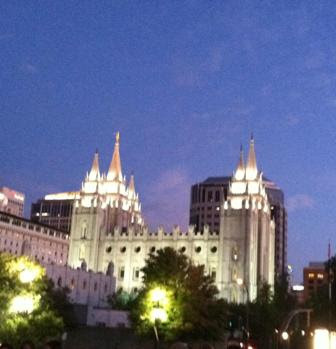 Lastly, we heard from President Uchtdorf. His lovely talk will certainly go down as one of the loved and respected by women. 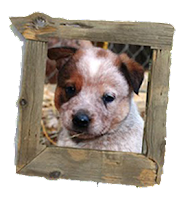 First it is represented by a little flower. That alone endears all of us. The Forget-Me-Not is beautiful and each pedal has a great significance. The flower helps us not to forget the lessons that we have so many times not heard, not understood, or misunderstood before. President Uchtdorf made plain what we needed to hear. 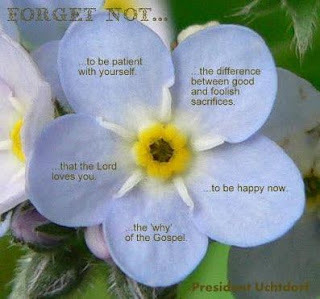 The Forget-Me-Not flower is to remind us that Heavenly Father will not ever forget us. He knows each of us and loves us. The flower metaphor is so lovely I can't help but try and share just a little bit of his talk. The Forget-Me-Not has five petals and each petal that serves as an important reminder to each woman in the church. The first petal was to help us remember to be patient with ourselves and that Heavenly Fathers knows all of us are imperfect. We are here on earth to strive to become better and that's our purpose. 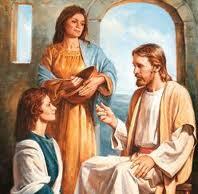 Our time here on earth is for that very endeavor, to improve ourselves and become more like the Savior. President Uchtdorf said that the second pedal was to remind us that we needed to pick those sacrifices that are most important. I felt that was an admonition to use our time wisely. Do the sacrifice that will bring the most worth. I was going to embellish each dress with a design on the front to make them even more than just a tee-shirt. If I had done that, I would've have been short, four dresses. I felt this lesson from President Uchtdorf was spoken straight to me. The number was important, not how pretty the dress could be. The third pedal made me smile because I had recently written a journal entry about enjoying life now and not waiting for a time when___(fill in the blank)___ as in more money, more time, or when we get a longed-for "golden ticket" that allows us to be happy. I need to take some of his advice and enjoy more now. Life is flying by and we need to find joy in the moment. Find our happiness now. The fourth pedal was that we shouldn't forget the "why" of the Gospel. Why does the Lord ask us to all these things and how we're suppose to do them? Let's have another meeting (he didn't say that) but our thinking should always have a "why" and remembrance. We all do so much all the time and our focus should always be on the point that it is because, we can feel joy. The things we find difficult or burdensome that we do in the church, become sweet. The "why" should be in our thoughts if we are thinking about what we are doing. It's those negative thoughts or vocal complaints that we maybe feeling ... that really make even any small job, assignment, or calling burdensome and hard. Here is the ***WHY ***. These things are our pathway back to our Heavenly Father. 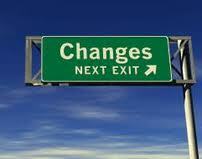 We need to understand what makes the way and the "how" and the "why" inspires and uplifts us. Then it's magnified to an holy consecration to our Heavenly Father. Little dresses and little kits of kindness are changed into something even more special than the joy of giving them. The fifth pedal is for us to always remember and to be never be forgotten and that is ... that we are loved. No matter what our circumstances we are in, and what we are facing, Heavenly Father knows us and loves us. This love gives us comfort, healing, love toward others, and all that is good. Heavenly Father cares for us with more love than we can imagine. Grandparent's Day? Is That Real?